Invoices will be sent to this e-mail address, by default it is the e-mail address of the account holder. Enter your address, including building names and suite numbers. 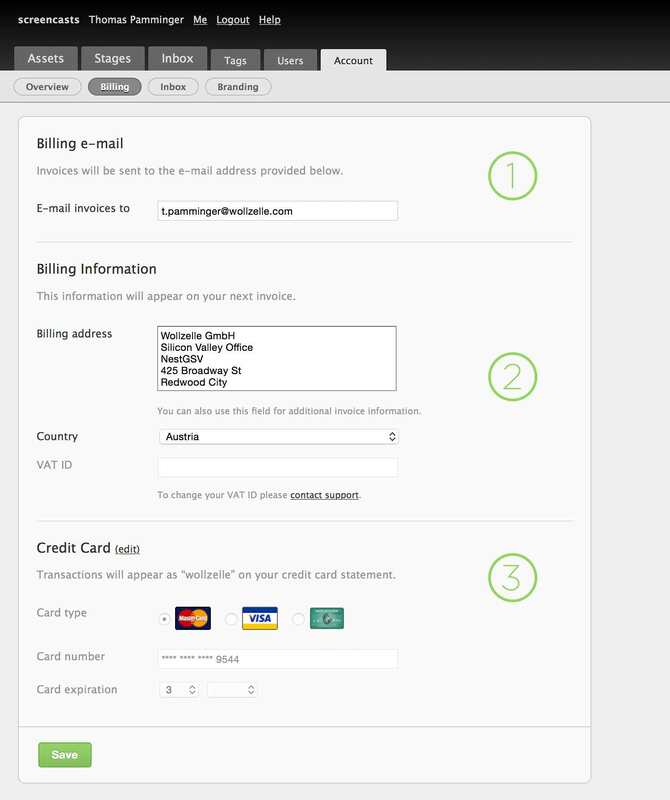 You can also use this field to enter any information you need to appear on the invoice, such as project identifiers.